There’s more than one way to make a casual outfit look chic. There’s the usual suspects: fancy shoes, designer handbag, red lipstick, that’ll take the ‘blah’ out of your look. The simplest way to make a statement is with a stylish shoe and although sneakers can sometimes come across too casual, this pair I’m wearing is anything but basic. A great alternative, and more affordable to Gucci. No wonder Instagram is overflowing with outfit shots featuring, you guessed it, these Russell & Bromley trainers. If you’ve been following me for a while, you’d know my constant struggle to find clothes that make my petite frame justice. Sure, some might argue that there are so many brands that cater for petite, but truth is, none of them take my fancy. Whether I’m after a classic pair of tailored trousers or a prom dress, I can find all I need on Precis, a trusty online retailer catering exclusively for petite. This particular piece from their Spring/Summer17 collection is super flattering – thanks to its tie detailing at the waist – and easy to wear. 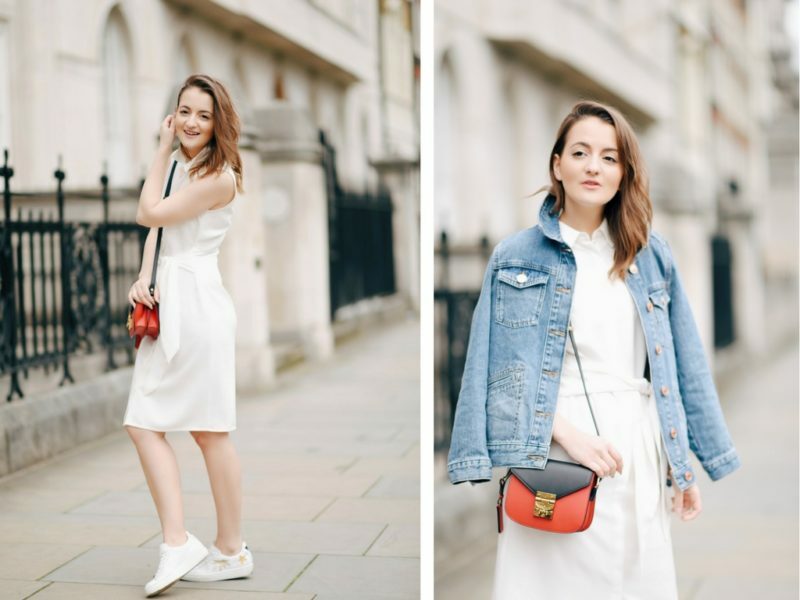 From breakfast to office to drinks – say hello to my wardrobe’s most versatile dress. Oh, and on sale, too! 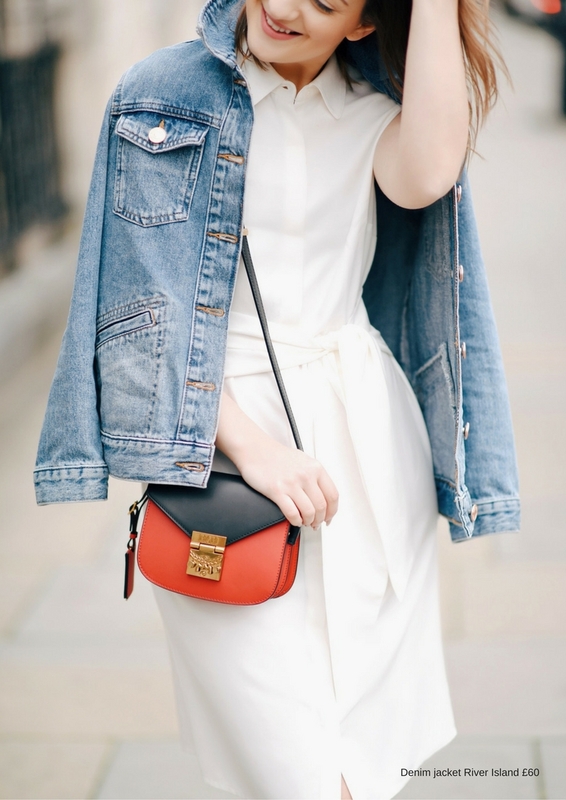 Another easiest way to make casual look chic is to invest in a stylish handbag. We often talk about ‘investment pieces’, the items that are supposed to see us through a lifetime of wardrobe crisis. A well-chosen handbag will not only elevate your outfits, but also last you forever. And while it’s easy to hang up on the latest ‘It’ handbag, I recommend investing in classic shapes and styles that you’ll cherish for years to come. Let me know if you have any tips on how to make casual look chic!